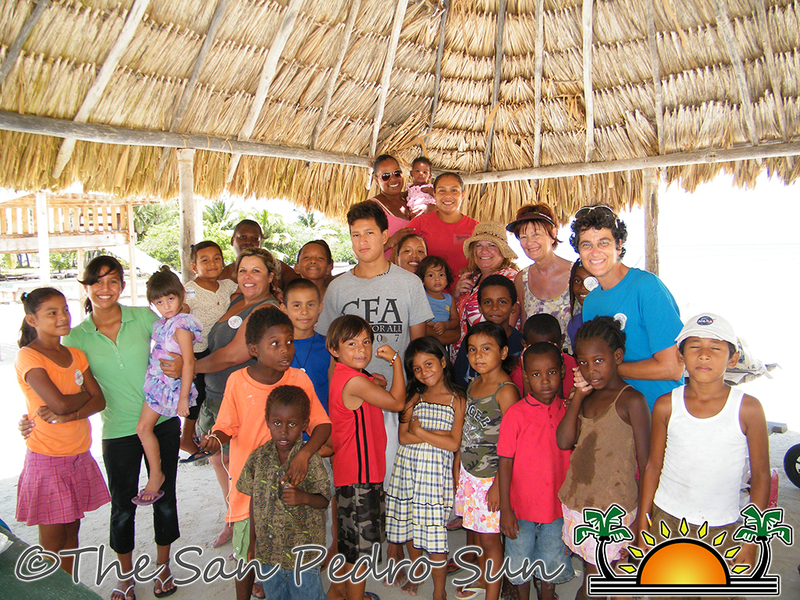 The residents of the San Mateo area of San Pedro Town were privileged to receive a working visit from a group of three from the Caribbean Student Environmental Alliance (SEA). The purpose of the visit was to involve the residents, especially the young people of the community in a one week camp geared at helping them to understand the importance of taking care of the water and what can be done to clean it up. One of the main goals for the non-profit group during their visit was to conduct water samples in the community. It is not the first time that water samples show contamination in the San Mateo area. In January of 2012 a group of students from the Texas A & M University conduct a reconnaissance trip during which they conducted a three part evaluation of potable water in the San Mateo Community. The evaluations included water quality field tests, water and sewer infrastructure assessment and a water quality survey. The alarming results confirmed what many have suspected for years. The results from Sutton’s test show the actual amount of contamination per 100 milliliter of water. “The numbers were widely varied. 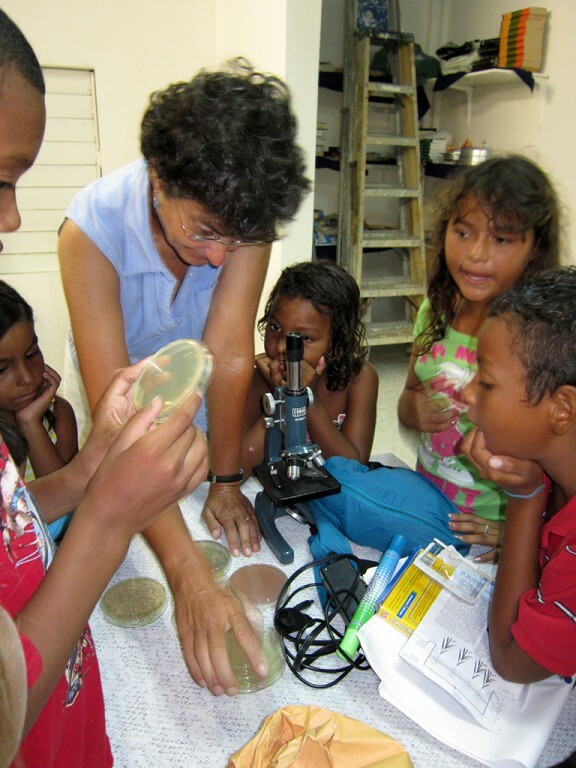 From over 100,000 coliforms per 100 milliliter in drinking water to too many escherichia coli colonies to count in the surface pools,” adding that “something needs to be done to protect the young people of San Mateo from infection and disease from the contaminated water,” explained Sutton. 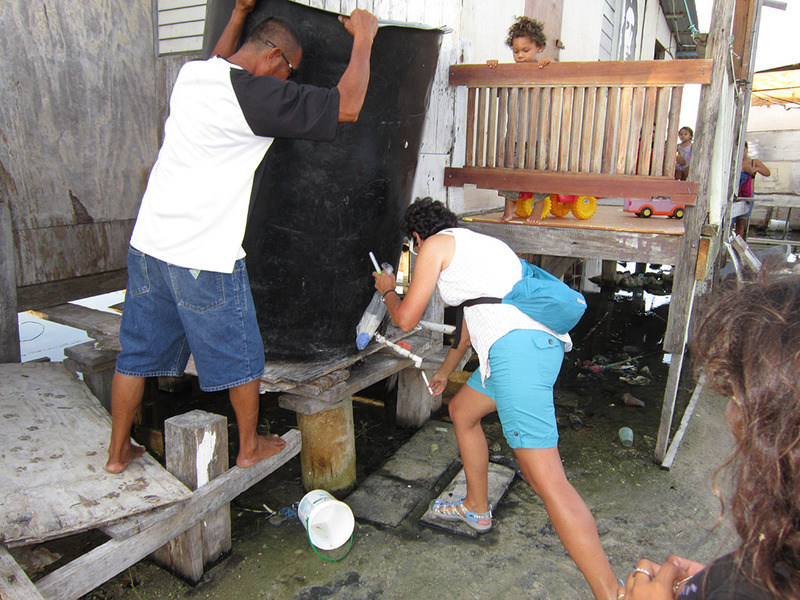 For that reason the group also took the opportunity to teach the residents on different ways to take care of water. “We want to make sure that if people are drinking water in their homes that they are not drinking dirty water. We know that sometimes the water settled around the area can get into the pipe system and so we want to make sure what these types of bacteria there are so that they can do something about it,” said Sutton. Sutton said that Caribbean SEA was initially contacted through the Canadian based Belize Community Conservation. Heather Zwicker, who heads the Canadian non-profit group, said that monies to help finance the one week camp were obtained through several fundraisers with sponsorships from businesses in San Pedro as well as from Toronto, Canada. Children from the San Mateo area were also educated on ways how to clean dirty water and were encouraged to have more appreciation for the water they have around the island. The students were also taken on various field trips where they were educated on the importance of the reef, the importance of the mangrove which serves as a natural water filter for the ecosystem and the importance of the island’s marine life to the ecosystem. 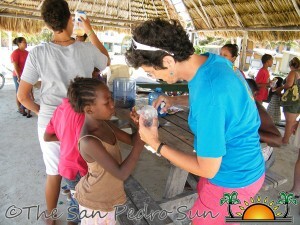 San Pedro Town resident and Environmental Engineer by profession Ann Kuffner, who helped to coordinate the Caribbean SEA visit to the island, is also working in obtaining filters for as many residents of San Mateo as possible. 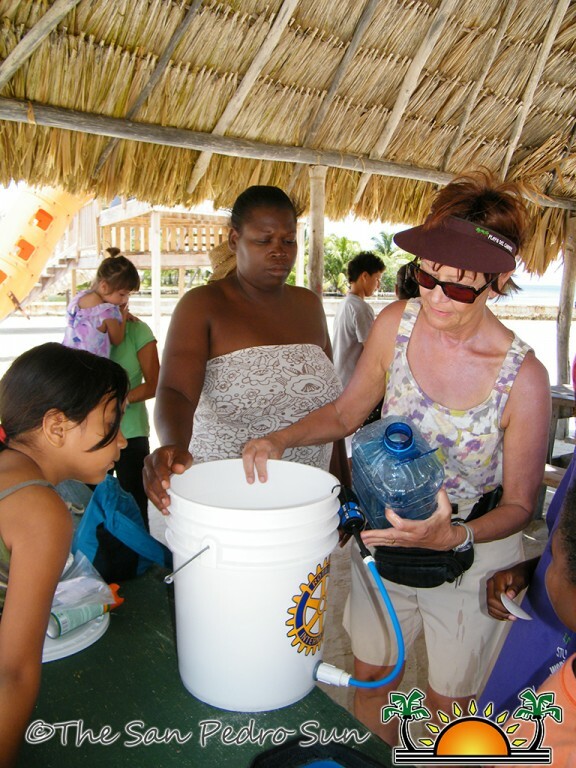 According to Kuffner, she is working hand in hand with the Rotary Clubs of Belize City and San Ignacio to obtain potable buckets that have an attached water filtration device. 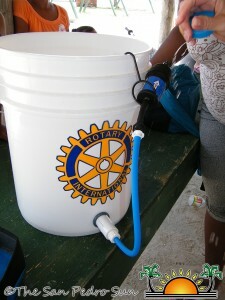 The buckets, which are priced at $120BZ each, will be given to the people of San Mateo who will be taught how to use, clean and maintain the filter and bucket. 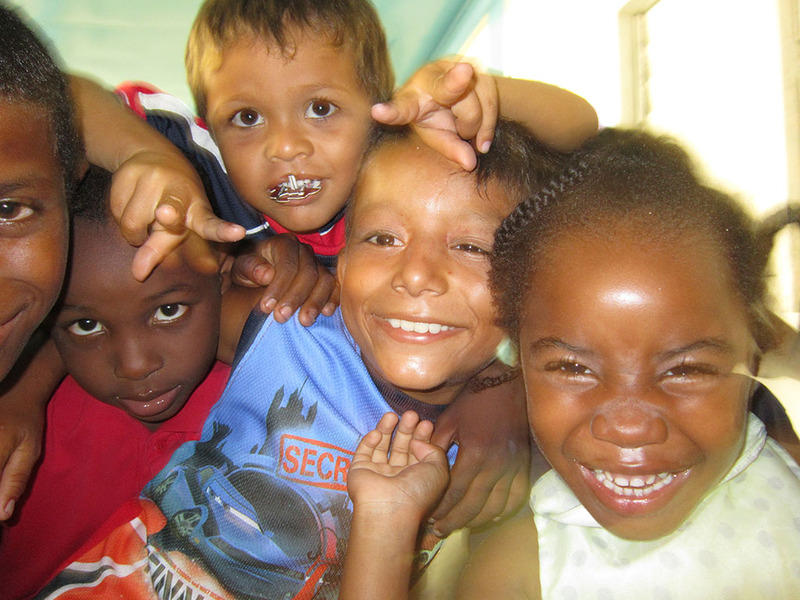 It is the hope of both groups to continue working with other non-profit organizations for the people of San Mateo on an annual basis. 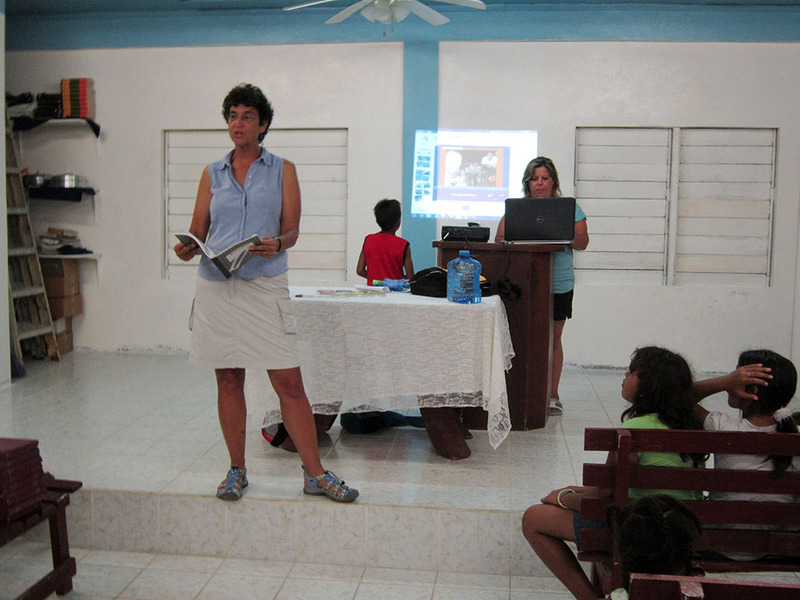 Caribbean SEA and Belize Community Conservation took the opportunity to thank all those who made the one week camp a success.